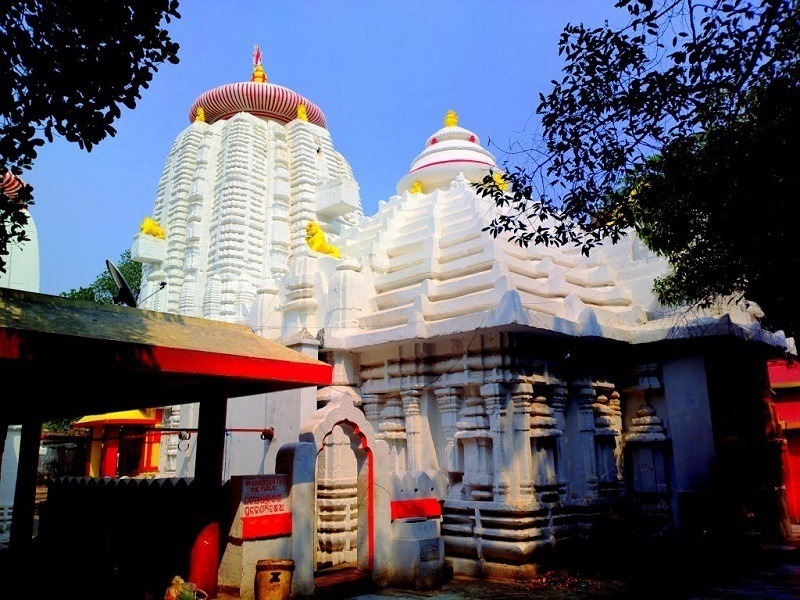 Kedargauri Mandir alias Kedar Gauri Temple, devoted to Lord Shiva (Kedareswar) and Goddess Gouri (Kedar Gouri) is one of the ancient temples at Bhubaneswar, situated behind the Mukteswar Temple. 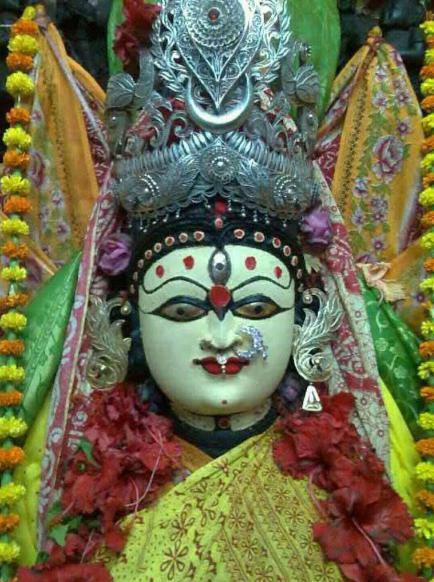 he presiding deity is Lord Shiva, referred to locally by the name ‘Kedareshwar’. 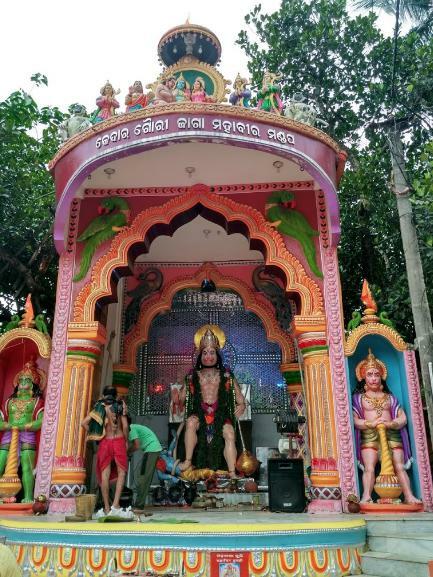 It is in the precinct of Kedara-Gouri on the right side of the road leading to Puri from Bhubaneswar and at a distance of 40 metres south of Muktesvara. It is one of the ten monuments within the precinct. It is the main temple of the complex. The temple is facing south and the enshrined deity is a circular yonipitha made of sandstone. The linga at the centre is missing. The sanctum is 2.5 square meters which is 0.8 meters below the present ground. 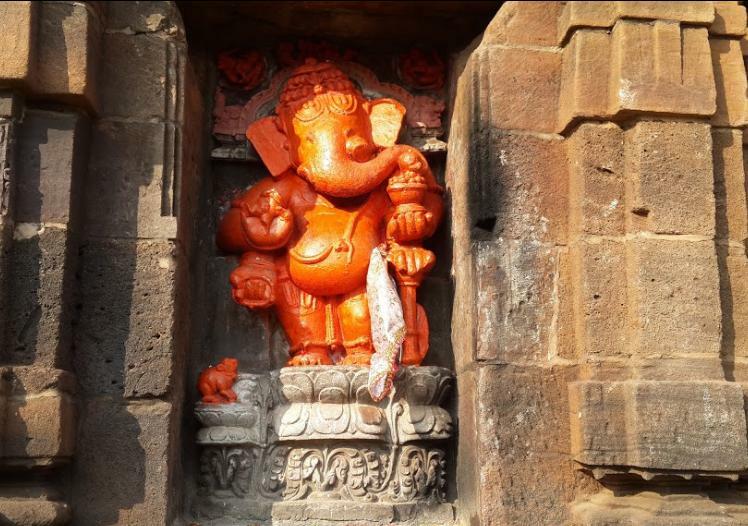 It stands near the yard of the Mukteswar Temple.Kedar Gauri temple is one among the eight Astasambhu temples in Bhubaneswar. 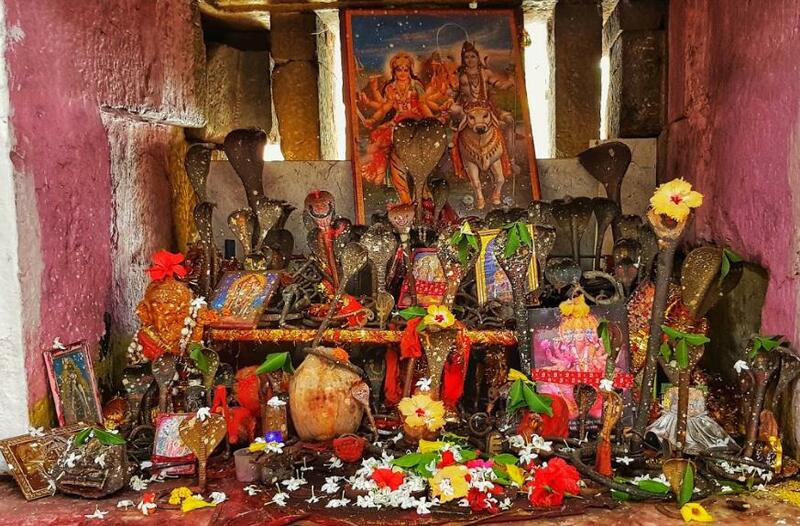 There are several legends associated with the construction of Kedar Gauri temple. One legend says that King Lalatendu Kesari constructed this temple in dedication to two lovers named Kedar and Gouri and another holds that it was constructed by Lord Shiva. There lived a couple named Kedar (male) and Gouri (female). They loved each other and decided to marry. The society was against the union, so it led them to flee from village. During the journey Gouri felt hungry, so Kedar went for food and was killed by a tiger. Later Gouri hearing this at this place jumped into the pond. 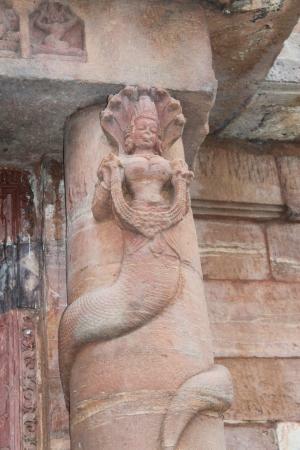 The king of Utkal, Lalatendu Keshari, knowing this raised a temple named Kedareshawr or Kedargouri Temple. Still lovers come here to pray for a happy wedlock without any obstacles. The pond here is said to have some medicinal property. 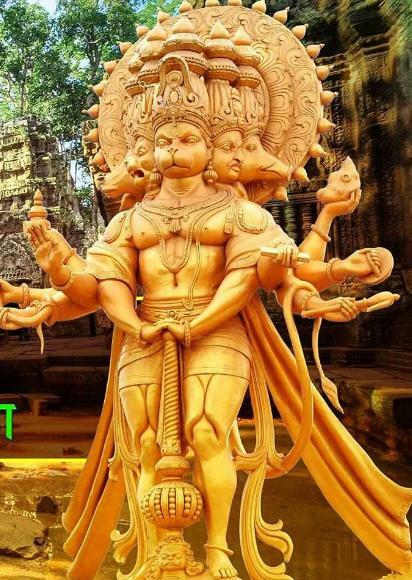 The main attraction of Kedar Gauri temple is the 8-feet statue of Hanuman and Goddess Durga standing on a lion. Closely resembling Sidheshwar Temple, the 13.7 meter high Kedar Gauri temple has a Panch-Rath sanctum . The Jagmohana (rectangular hall) has a three-divisional wall with crowning ornaments. The temple premises houses two kunds (ponds) namely Khira Kund and Marichi Kund which are said to have sacred powers. The water from Khira kund is believed to relieves man from the cycle of birth and death and water from Marichi Kund cure woman’s infertility. 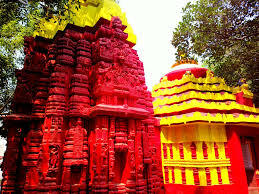 The temple is surrounded by Dutiya Kedaresvara on its west at a distance of 500 meters, Kedara kunda on its east at a distance of 0.50 meters, Gouri temple on its southern at a distance of 6.00 meters and compound wall on its northern side at a distance of 20.00 metres. The temple is also famous for the Lord Shiva’s procession conducted annually from Lingaraja temple to Kedar Gouri temple, to commemorate the marriage with his consort, Parvati. On plan, the temple has a vimana and jagamohana measuring 20.40 metres in length and 9.60 metres in width, with the ganthiala measuring 0.60 metres. While the vimana measures 9.60 square metres, the jagamohana measures 10.80 metres in length and 9.60 meters in width. The temple is pancharatha. On elevation, the vimana is in rekha order that measures 13.50 metres in height from pabhaga to kalasa.. With fivefold divisions of the bada, the temple has a panchanga-bada measuring 5.40 meters. At the bottom the pabhaga has five base mouldings khura, kumbha, patta, kani and basanta that measures 1.24 meters. Tala jangha measures 1.18 metres, bandhana 0.50 metres, upara jangha 1.18 metres and baranda 1.30 metres in height. The bada of the temple is decorated with beautiful sculptural embellishments. The gandi measures 5.30 metres. 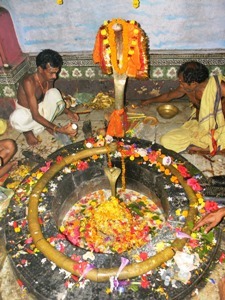 The mastaka is composed of usual beki, amlaka, khapuri, kalasa, and ayudha that measures 3.00 metres. The sanctum measuring 2.50 square metres is 0.70 metres below the present ground level. On elevation, the jagamohana is in pidha order. 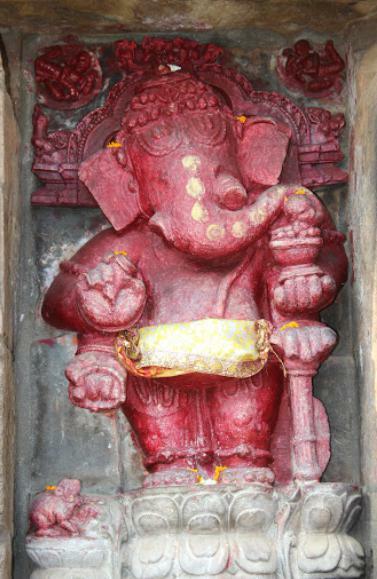 With threefold divisions of the bada, pabhaga has five base mouldings of khura, kumbha, patta, kani and basanta, measuring 1.20 metres, jangha 1.55 meters and baranda 0.75 meters. The bada is relived with niches surmounted by pidha mundis.The gandi of the jagamohana is set with eleven receding tires measuring 4.00 meters in height. Mastaka consisting of beki, ghanta, amlaka, khapuri, kalasa and ayudha measures 3 meters.